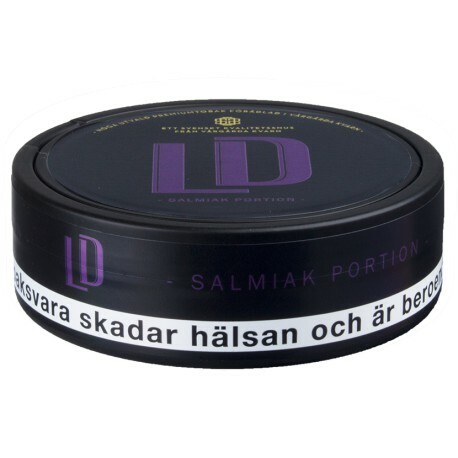 LD Salmiak Portion Snus combines the rich flavor of spicy tobacco, salt, with mild fruity licorice. If you're a fan of black licorice, this is a value snus you have to try! LD Salmiak Portion Snus is currently crafted at JTI's Swedish snus factory in Vårgårda.